Can I get more for my write-off? | What Car? Can I get more for my write-off? Q) Can I get more for my write-off? My March 2010-registered BMW 1 Series 116i Sport went up in flames and I feel that my insurance companys valuation of it is too low. The car had 17,514 miles on the clock. What can I do? 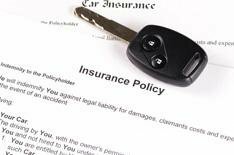 A) If you feel that your insurance companys valuation of your car is unfair, you can dispute it. Based on the information youve provided, our used car experts value your BMW at 12,650 if you were buying it from a dealer and 10,360 if you were to sell it to a dealer, so you should expect your insurance company to give you a price somewhere between.